Junior midfielder Sofia Pavon scored The Hatchet's pick for best female athlete for her ability to score clutch goals in high pressure situations. Women’s soccer’s junior midfielder Sofia Pavon proved she could still find the back of the net in her return to the pitch this season. The Chicago native earned this year’s title for Best Female Athlete for her ability to score clutch goals in high pressure situations after sitting the entire season before due to an injury. Three of Pavon’s eight goals this season were game-winners, helping the Colonials to a 10-5-4 record while tallying a team-high 18 points (eight goals, two assists). The midfielder had an immediate impact in her freshman season, starting in 16 of her 18 appearances. Her six goals and 13 points were the second-highest tallies on the team. In recognition of her breakout season, Pavon was named Atlantic 10 Rookie of the Year and made the All-Conference Second Team and the All-Rookie Team. Pavon’s standout play her rookie year was key in GW’s historic 13-game win streak, where she contributed four game-winners. The Colonials went on to maintain a perfect record in conference play and win their first A-10 regular season title that year – their first since 1995. Pavon picked up where she left off in her junior season, improving in nearly all statistical categories after being sidelined by an injury last season. She has made a consistent offensive effort and was named to the All-Conference First Team for her play this season. During her time on the team, Pavon has helped the Colonials to two postseason appearances. 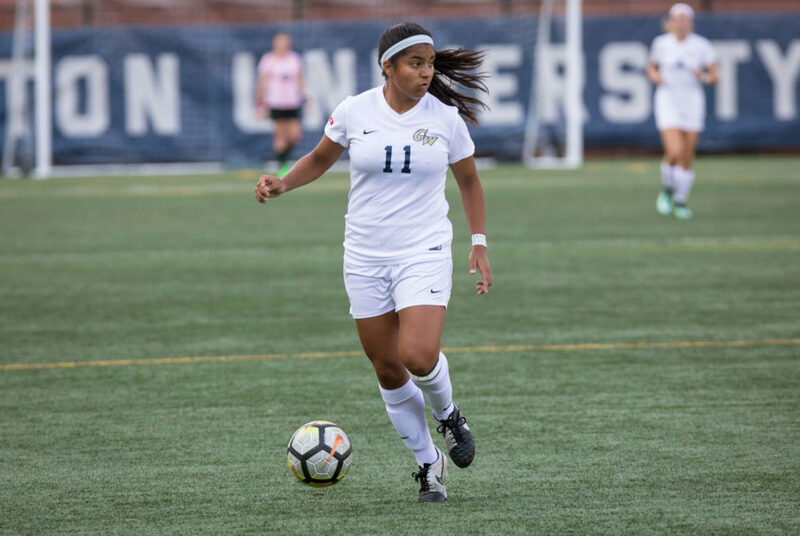 Despite GW’s double-overtime loss in the quarterfinal round of the A-10 tournament last October, Pavon’s finishing ability is a bright spot for the Colonials leading into her final season.